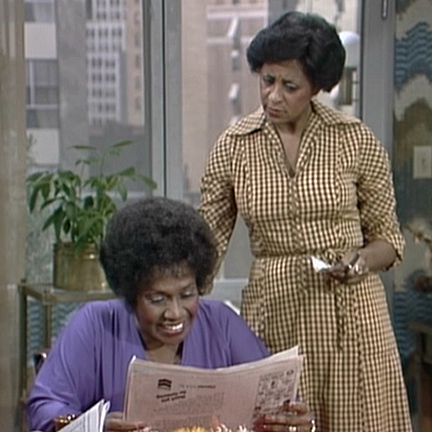 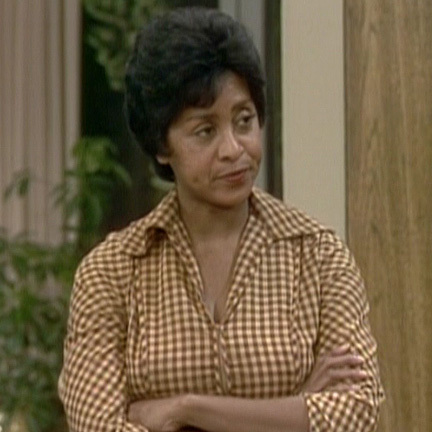 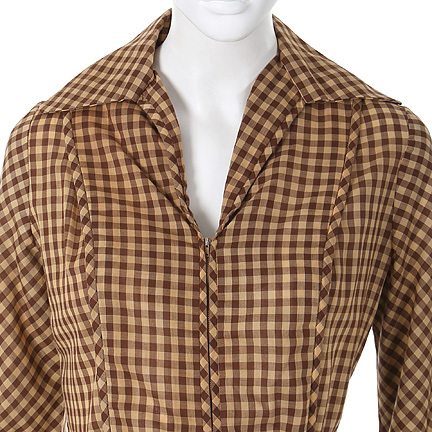 This day dress was worn by “Florence Johnston” portrayed by actress Marla Gibbs in the television series “The Jeffersons”. 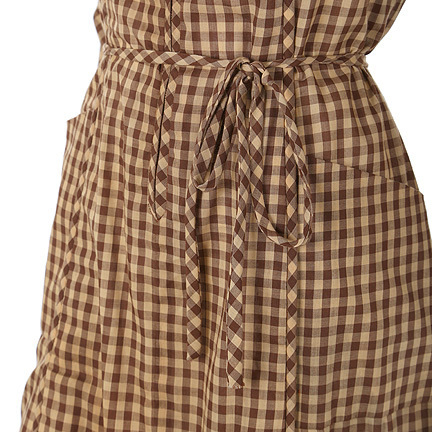 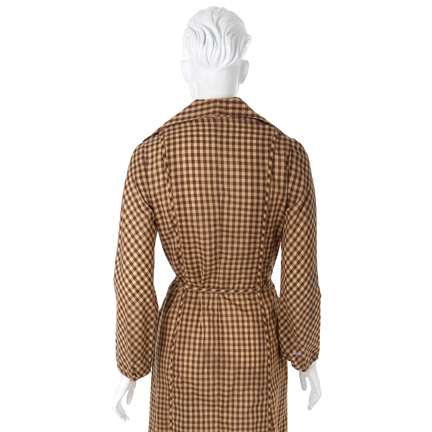 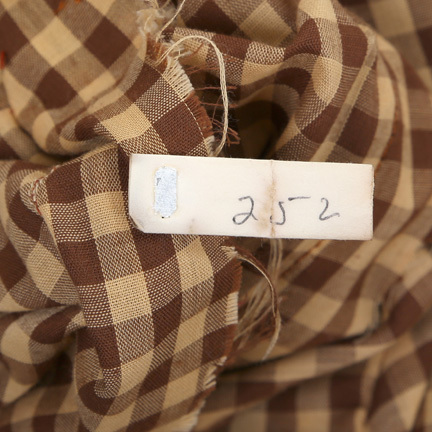 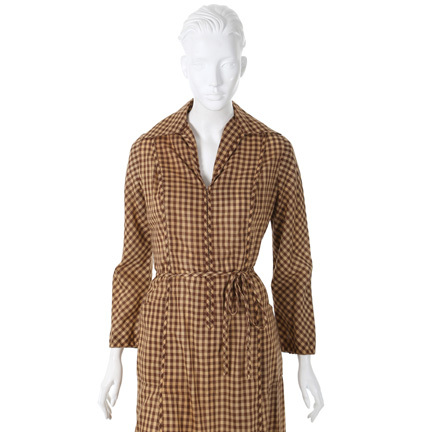 The original 1970’s day dress is constructed of a brown and beige cotton gingham material and includes the matching self-belt. 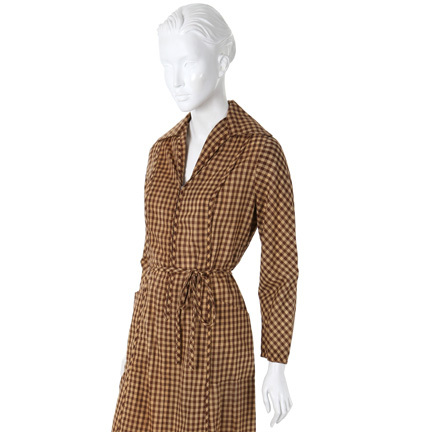 Ms. Gibbs can be seen wearing this dress in various episodes throughout the series including episodes 60, 65, 71, 79, 89, 93, 102, 111, and 113. 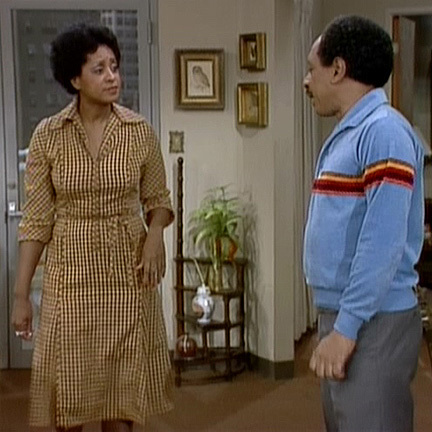 The dress is initially seen in “George the Philanthropist” (Season 3 Episode 23), when Florence speaks with Louise and George in their kitchen. 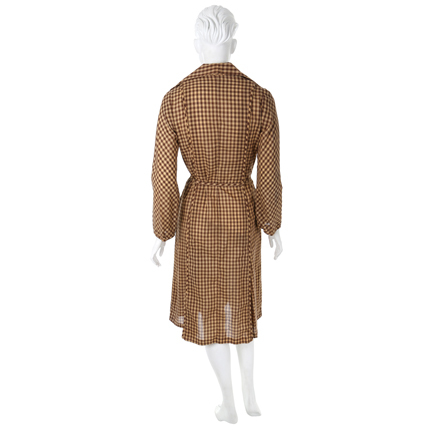 She wears this outfit often while working within the Jefferson’s apartment, serving breakfast, dusting, welcoming guests and occasionally it can be seen beneath an overcoat when she comes and goes outdoors. 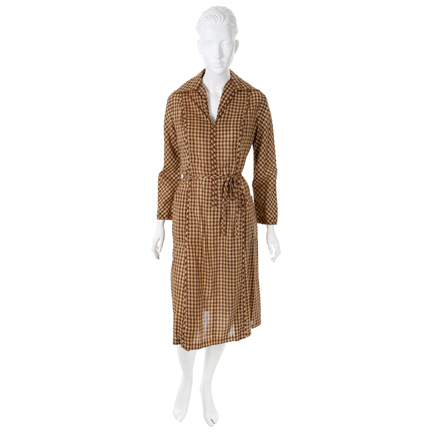 This dress was one of Florence’s signature costumes worn through out the series making this dress an important pieces of television history.